Travelling and lying on the bed are two of my greatest pastimes, admits Monisha Rajesh. Fortunately, the London-based author found a perfect way to marry her twin passions — when she set out to write a book that involved sleeping on the berths in railway coaches while touring the world in 80 trains. 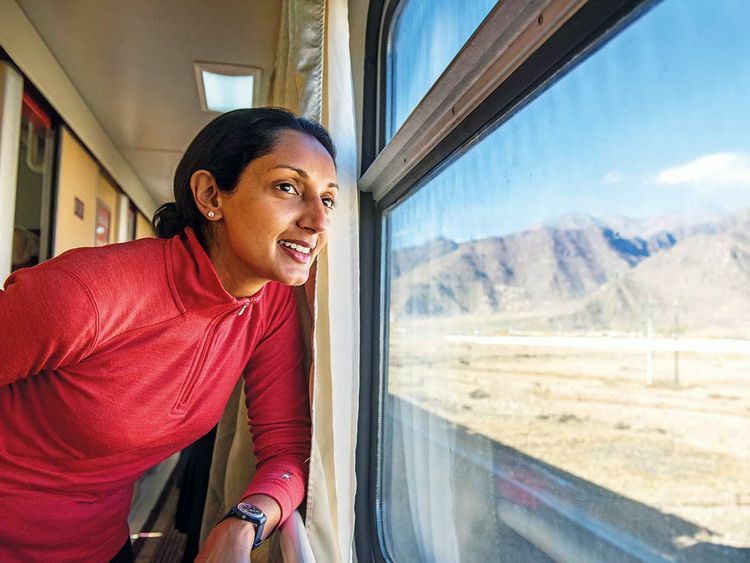 Indulging in her favourite pastimes while romancing the railways took Rajesh on a seven-month adventure across 45,000 miles and resulted in her second travel book — Around The World in 80 Trains — which was published earlier this year. “Where else can you sit under a duvet, propped up with a cup of morning tea in hand and watch towns, cities, states and countries flash past your window,” wonders Rajesh. So smitten is she with the allure of the railways that she has undertaken the mammoth task of spending months on trains not once, but twice. Seven years ago, the writer had covered the length and breadth of India on the Indian Railways to write her first book — Around India in 80 Trains. 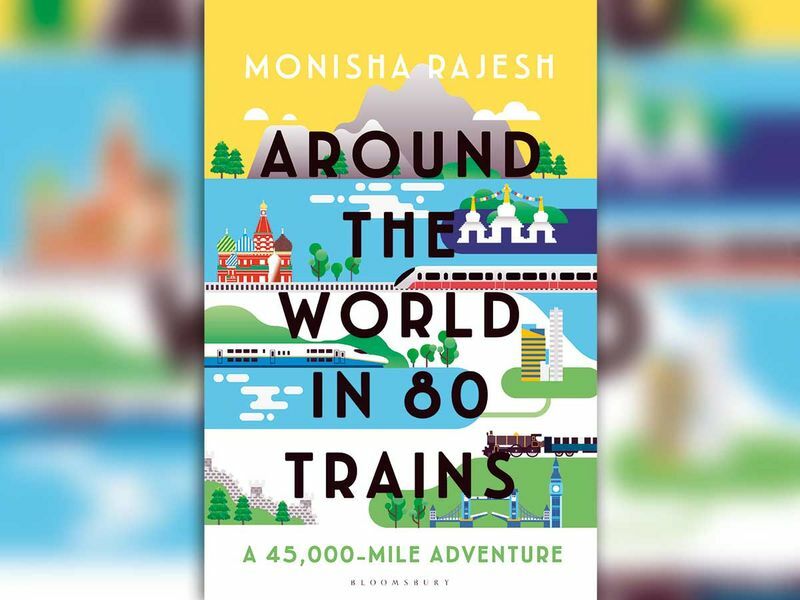 It was then obvious that the next step for Rajesh would involve touring three continents in 80 trains across Europe, Asia and America to write her second book. With her fiancé Jem for company, Rajesh, 36, began a carefully-planned journey on the Eurostar from London to Paris, winding their way across Europe, to board the train to Moscow from Riga, Latvia. From the Russian capital, the duo travelled on the Trans-Mongolian to Beijing, via Siberia and Mongolia. After exploring Southeast Asia and Japan they took a flight to Vancouver and travelled across to Toronto on The Canadian, crossing the border to the US where they toured the country for one month using an Amtrak pass. From Vancouver they flew back to Beijing and then crossed into Pyongyang in North Korea spending ten days on a train tour around the regime before moving on to China, Tibet, Kazakhstan, Russia, Poland, Germany and finally returning to London from Italy onboard the luxurious Venice-Simplon-Orient Express. But why choose trains in today’s fast-paced world where most people prefer airlines to reach destinations as quick as possible? “I hate flying. It’s not that I have a fear of planes. I just feel trapped and stifled while on board, unable to wander around freely, chat to strangers at will or sit at the window absorbing the fluctuating landscapes. Trains give me more freedom, a sense of space and perspective,” Rajesh says. The real impetus for writing her first book essentially came after reading a newspaper article in 2009 about how India’s domestic airlines connected 80 cities. Fascinated by names of cities she had never been to, Rajesh took out a map of India. “Looking at that map, I suddenly noticed an enormous network of capillaries spread across the country and realised that these were all the Indian Railway routes. Soon an idea blossomed in my head and rapidly morphed into Around India in 80 Trains,” she says. The inspiration for both her book titles came from Around the World in 80 Days by Jules Verne. In the 1873 classic novel, the plot revolves around Phileas Fogg, another London resident who attempts to circumnavigate the world in 80 days with his French valet Passepartout to win a bet of £20,000. Rajesh, on the other hand, was in no such hurry. 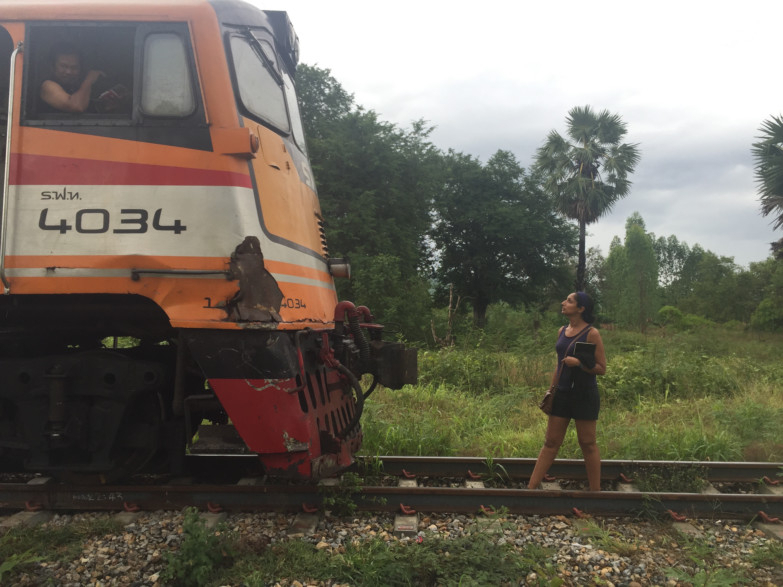 Instead, she wanted to enjoy the slow pace of train travel to explore various destinations and experience them through conversations with her fellow travellers. I love train trips and I love travelling around India. If you do too, then this book is a wonderful companion. The biggest perk of writing the book, of course, was the joy of seeing some of the earth’s most breath-taking places. Rajesh’s top five jaw-dropping sights include the majestic St Basil’s Cathedral in Moscow, the stunning vistas enroute The Canadian Rockies, the historic Great Wall of China, the ancient Lake Baikal in Siberia and watching the origin of the Yangtze river in Tibet by moonlight. Besides the wonderful sights, her trip across the globe was riddled with many other adventures. The scariest of them was travelling out of Moscow to a remote land, after being told about instances of foreigners being kidnapped, to find the military Disneyland called Patriot Park. From braving altitude sickness in Lhasa, Tibet, to discovering tales about a delicacy of new born mice in China, savouring fresh fish, duck curry and steamed coconut rice in old dining cars in Thailand to a trip of a lifetime on an escorted tour around North Korea, their journeys were filled with unforgettable experiences. Although her worst train experience was in India, where she was leered at, groped and even chased down a platform, she came back charmed by the country’s wide rail network and overly chatty passengers. Trains, writes Rajesh, take the traveller into the nooks and crannies of a country and into the very heart of its people. “Without the co-passengers, it would seem that you are just riding from junction A to B. There were many endearing conversations and quite a few people who will remain in my memories forever,” says Rajesh, who had almost 60 hours of recorded interviews with her fellow travellers. In North Korea, she was impressed by Boston Bobby, a retired veteran who wore a Red Sox hoody and had an infectious zest for life. He always carried a brown envelope of photos of his family whenever he travelled alone. In Japan, she met Tetsushi Yonezawa, a survivor of Hiroshima who felt indebted to the railways for saving his life by helping him escape the fallout. The most memorable experience, recalls Rajesh, was a meeting in Canada with a retired railroader named Karen, who had vowed never to fly again on her 50th birthday. “We met on The Canadian rail as she was making her way to her daughter’s wedding in Nice, France. Having boarded at Winnipeg, she was travelling to Toronto and then to New York. From there, she planned to board the Queen Mary 2 to Southampton and then take a train to London. The journey would then be completed by first taking the Eurostar to Paris and later a TGV fast train to Nice,” Rajesh says. The end of a journey was always mixed with a twinge of sadness of parting with new friends, whom most often she knew she would never meet again. But it also signalled the beginning of another eventful voyage. “The feeling of boarding a train is unrivalled. I love those first few moments of anticipation when the train jerks and starts to move and I have no idea what lies ahead,” she says. Tessy Koshy is an independent writer based in Dubai.